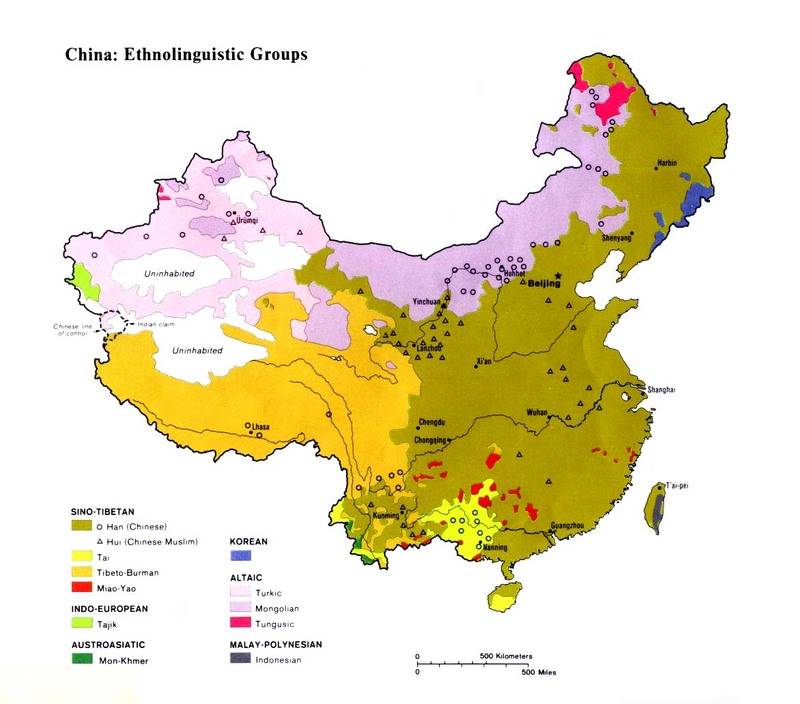 The Kazaks are one of China's official minority groups. The name Kazak means "the breakaways" or "secessionists". Chinese publications, however, not wanting to flame the Kazaks desire for independence, claim their name means "white swan". Since 1980 the Kazaks in China have used a modified Arabic script. There are two main Kazak dialects in China: Southwestern and Northeastern Kazak. The Southwestern variety includes the tribes of Alban and Suwen. Kazak is a "relatively uniform language, without any major dialectal differences, so that Kazaks from different places have no difficulty in conversing with one another." Over the centuries the various Islamic groups in northwest China have attempted to establish their own homeland. Several brutal massacres have reinforced Chinese rule and the deep hatred the Kazaks have for the Han. At least 100,000 Kazaks migrated into China from Russia between 1916 and 1920, after the Tsarist government imposed conscription on them.9 In the early 1950s the Kazaks in China were forced into a communal society and were forbidden to enjoy the nomadic lifestyle their ancestors had enjoyed for over a thousand years. In 1962, 60,000 Kazaks decided to cross back into the Soviet Union. The massive migration represented more than onetenth of the entire Kazak population in China at the time. Images of proud nomadic Kazak horsemen have long stirred the imagination of the world. Being the rulers of vast open grasslands, they lived as they pleased and moved their livestock wherever and whenever they desired: the Kazaks love their freedom. When a Kazak girl goes to the altar on her wedding day, "she is carried off after the ceremony, slung over a horse and delivered to the family of her husband-to be." Although the Kazaks embraced Islam in the sixteenth century and consider themselves to be Muslims today, their practices and rituals are combined with elements of spiritism, black magic, animism, and shamanism. Few of the Kazaks in China - despite having the Scriptures, Jesus film, gospel recordings, and gospel radio broadcasts available in their own language - believe in Christ. In the 1930s the Swedish Missionary Society planted one small Kazak church in Xinjiang, but persecution wiped it out. Presently there are only "a handful of Kazak Christians in China. "12 In neighboring Kazakstan, however, in recent years "approximately 3,500 Kazaks have come to faith in Christ." Scripture Prayers for the Kazakh in China.